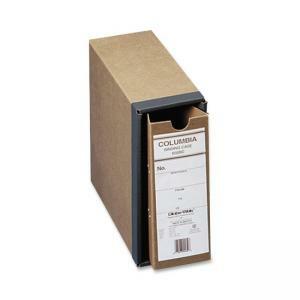 Binding case features a heavy fiberboard exterior and an inner case of durable fiberboard. Posts are 2-3/4" apart. Binder case offers a telescope box style, sleeve and drawer lid closure, and high-arch filing capacity. Case contains 50 percent post-consumer recycled material.